Vesper cat furniture will infuse color into your life and the life of your cat! The combination of natural scratching surfaces and MDF makes the piece of furniture attractive and sturdy; the plush cushions are inviting and cuddly. 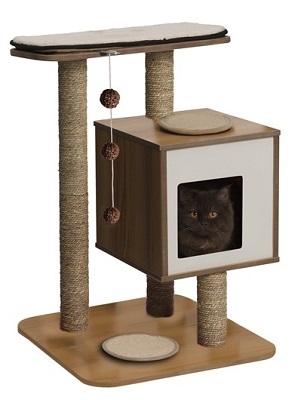 The V-Base is the ideal place for your cat to play or rest.